It's so exciting when my beginning of reading an author matches the beginning of her/his career. As a reviewer and blogger, it's most satisfying finding new talent to follow. I was just a bit slow out of the gate with the amazing new talent who is Lisa Alber, as her debut novel, Kilmoon, was published in 2015, and I read it in August of this year. 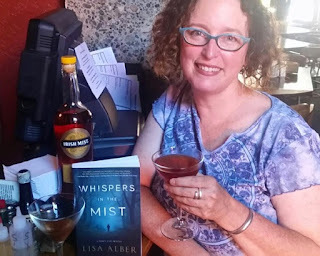 However, the up side to the tardy reading was that I was able to go straight to Lisa's second book in the County Clare series, Whispers in the Mist. Both of these books are outstanding, and I'm now an ardent fan of Lisa Alber and this series. Lisa's writing talent extends to telling the story of her writing life and how the County Clare series took flight. She graciously agreed to answer some interview questions for me, and her answers are fascinating. From the creation of the fictional town of Lisfenora to the back story on her match maker character, Lisa gives intriguing insight to her stories. Reading Room: What led you to write a story set in Ireland? And, what or where inspired the village of Lisfenora? Lisa: I set the first novel I wrote (which will never be published) in Ireland, in part because I fell in love with the descriptions of County Clare, Ireland, while reading a memoir called Whoredom in Kimmage. I was particularly struck by the atmospheric details about an area called the Burren. That first novel never went anywhere, but Ireland stuck, and when I finally traveled over there, I fell in love with it for real. During my first visit to Ireland, I landed by happenstance (because I’d picked a B&B pretty much at random) in the village of Lisdoonvarna. This was my first taste of village life. The next village over is Kilfenora. So, I merged the names to create my village, Lisfenora! Ta-da! Lisfenora is a little like a more bustling, bigger Lisdoonvarna mixed with yet another town (not village—towns are bigger) named Ennisytmon, which has lovely, colorful old shopfronts. Reading Room: Matchmaking is a fascinating hook for me in this series, and Liam is wonderfully mystic. How did that come about as a feature of the story? Lisa: Returning to my first trip and Lisdoonvarna: I happened to notice a pub called the “Matchmaker Bar,” which seemed a bit funny. So I asked around and received quizzical responses: “You mean you’ve never heard of the matchmaking festival?” I was amazed by the idea of a real matchmaker and a yearly festival. But of course, since I’m dark by nature, I thought in terms of a matchmaker with a dark past rather than a matchmaker you might see in a Hallmark movie. And the charmed quality he has when it comes to matchmaking? Well, I’m not sure where that comes from except that I love a little magical realism—you know the way Alice Hoffman weaves it into her stories? I just like the idea that Liam the Matchmaker could be uncannily good at matchmaking the way some people are uncannily good at math. 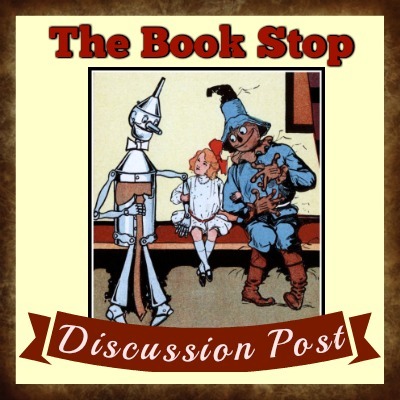 Reading Room: There are so many interesting characters in this series. The first book, Kilmoon, focused on Merrit Chase and her quest to meet her biological father, who happens to be the matchmaker of Lisfenora, Ireland. Whispers in the Mist focuses more on Detective Sergeant Danny Ahern and his life. Will the character focus change in each book of the series (not that the main characters aren’t a strong part of each story)? Who do you consider the main character? Or is it more an ensemble cast? Lisa: I see the series more as an ensemble cast with Merrit and Danny always present, perhaps more, perhaps less, depending on the story. I can safely say that I will always have new characters enter the picture for the murder mystery aspect of the story. These new characters will pull in either Danny or Merrit, or both of them. In my next novel (PATH INTO DARKNESS, Midnight Ink, 2017), the story continues to be more Danny’s than Merrit’s simply because of where I left him at the end of Whisper in the Mist. But then, for my next next novel, I’m interested in a story that brings us back to Merrit. So, I’m fluid, I guess. And, I’d love to circle back around to some of the minor characters and expand on them. Like the Queen Bee Mrs. O’Brien! What’s her story? I’m finding her more and more interesting, and she keeps cropping up unlike some of the other minor characters. She’s got a story, for sure! Reading Room: The legend of Grey Man was deliciously spooky in Whispers in the Mist. Was this one of the superstitions or mythical Irish tales that you picked up while in Ireland? Which came first, Grey Man or your story? Lisa: Grey Man! While in Ireland during my third trip, I bought the cutest little illustrated book called A Field Guide to Irish Fairies. I love folklore and myth, in general. Back in Oregon, I was browsing through the book and came upon a description of Grey Man, a predatory fairy that disappears people undercover of mist and fog. I loved that on so many levels—such a great metaphor for an antagonist. Plus, it suggested a sinister and atmospheric feeling that attracted me. Reading Room: I know that you recently spent time in Ireland doing research for your third book in the series. What was different about this trip than trips in the past? Lisa: Yes, in March/April I went to Ireland for the fourth time. What a difference being a published author makes when it comes to novel research! Previously, I felt a tad sheepish when I entered police stations (as an example) to ask for time with an officer. Now, I can pull out an *actual* book and start the process with more of a show-and-tell, which makes it easier. Also, this time around I felt like I was coming home, which was so nice. I reconnected with some of the people who had helped me on previous trips—what a blast that was. Reading Room: I’m interested in when an author starts feeling successful. With your two major hits of Kilmoon and Whispers in the Mist out, have you started to breathe a sigh of relief about making it as a writer? Lisa: Thanks for using the word “hits,” but, oh gosh, this question makes me laugh, but not in bad way, I assure you. Excluding writers such as Stephen King or Gillian Flynn, who have obviously “made it,” I wonder if any of us ever breathe a sigh of relief? There’s always the next thing, you know? For example, I was talking to a friend who has won an Anthony Award, who has many books out, and who is trying to get to the next stage of his career, which would mean nabbing a big-hitter literary agent to land my friend the really big deals. From my perspective, he’s made it, but from his perspective, not so much. So, I suppose I don’t feel successful, because I’m still early enough in my career that getting my books published isn’t a sure thing. Contract renewels are stressful! I do feel lucky that I’ve gotten two books published so far, with a third in the hopper, and cross fingers for after that! I suppose I’ll feel successful when I stop feeling that I’ve been lucky … Hope that day comes! Reading Room: Many writers seem to like being in a group with other writers and blogging. How did your involvement in ShadowSpinners come about? 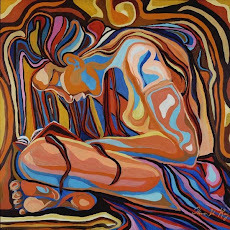 And, do you ever find doing your own blog, Lisa Alber’s Words at Play, and the ShadowSpinners overwhelming, with the writing you need to do too? How does being a ShadowSpinner benefit you? Lisa: ShadowSpinners is the brainchild of writer Christina Lay. There’s a group of us Oregon writers who have grown close over the years, and we’ve holed up for writers retreats together on many occasions. ShadowSpinners is just a labor of love at this point, I think. Does it benefit me? I don’t know. Probably not much, but … On the other hand, it’s fun to be a member of a tribe. I do find blogging overwhelming at times. My poor personal blog—you can see that I haven’t been keeping up with it! Reading Room: I have to ask this question of each author I interview because what you read is of interest to fans. So, Lisa, what are you currently reading and/or what’s waiting on your nightstand for you to start? Lisa: My nightstand’s a mess that’s for sure—so’s the carpet in front of my nightstand! I just finished reading Heather Gudenkauf’s latest, MISSING PIECES, and a debut I picked up at the bookstore: THE HOUSE BETWEEN TIDES by Sarah Maine. Yes, I actually browse bookstore shelves to find new authors! (In fact, I’m not that loyal. I don’t necessarily keep up with all my old faves. I like to discover new authors, which means I was reading Gillian Flynn and Ann Cleeves before they became Gillian Flynn--oh my!—and Ann Cleeves—oh my!). Now, I’m starting novel research reading for my next novel. I just started reading WHISPERING HOPE, The True Story of the Magdalene Women. Wish me luck—it’s going to be a toughy. Reading Room: And, I like to end with this question. Other than already published bio material, what’s something you’d like for your readers to know about you? Do you have another talent, quirky (a master at tongue twisters) or not (play the flute), that you are willing to share with us? Lisa: I’m a total armchair psychologist. Always have been. I consider it a hobby of sorts, which is why I write the kind of novels I do. It also means that the way I enjoy my hobby is by using myself as a guinea pig. Sounds weird, right? But I love going to therapy. I’m a talented patient in the therapeutic arts. Seriously. I love talking to my psychologist, really mining into the deep stuff. We have such interesting conversations, and she a font of information about human behavior. I take notes, I ponder things—I just love it. I think pondering myself in the world helps me ponder characters in theirs.